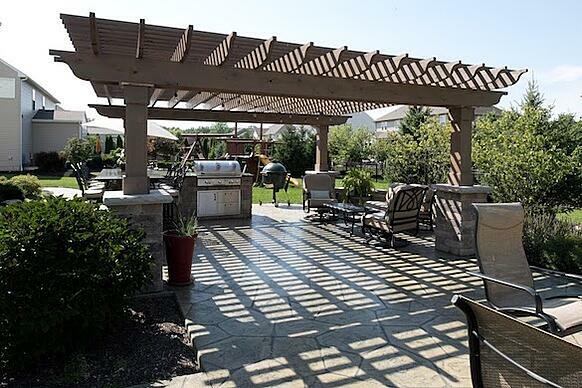 When it comes to adding character to your backyard space, pergola designs are one of the best options. Not only do they combine beauty and function, but they also offer a great deal of flexibility in size, style and location. The result is a design that best fits your wants and needs. Here we’ll discuss how pergola designs can enhance your outdoor space while highlighting specific examples for inspiration. You can think of pergolas as an extension of your home. These structures can be combined with other backyard elements for a welcoming transition or stand on their own to create a focal point. In either case, pergolas make an attractive addition to back yards, whether large or small. This visual appeal is combined with purpose. We’ve all encountered this scenario: On a beautiful summer day, you’re eager to get outdoors. But as the sun continues to beat down, you quickly become overheated and head inside. 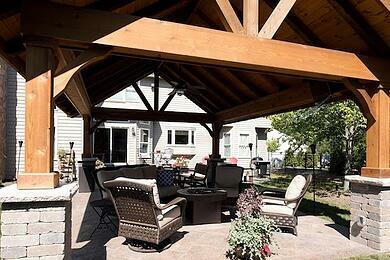 With pergola designs, you have an area to lounge where you are shielded from the elements. This shady space allows you to enjoy your backyard more often, whether you’re relaxing on your own or entertaining guests. To gain even further coverage, you could opt for a solid roof. While this is particularly useful in warmer climates, it can also provide an added layer of protection during warm rain showers. 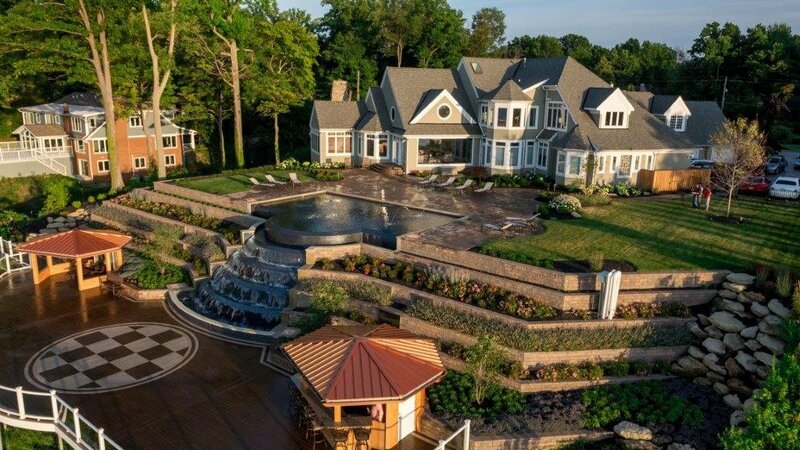 When homeowners imagine their outdoor oasis, privacy is typically a feature they desire. By nature, pergola designs help to achieve this, with additional style points establishing even greater privacy. 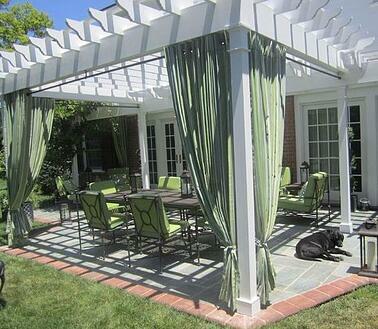 Draping curtains around the perimeter of a pergola is one option. This mimics the feel of a complete room, while providing the flexibility to switch between two options (open or closed). 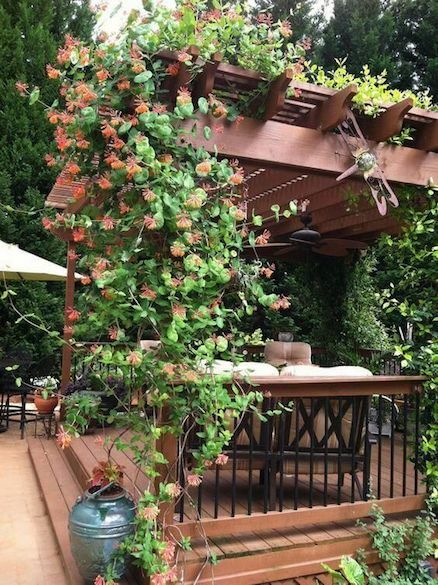 Another idea is to add tall plants around the pergola. The benefits here are two-fold: You have a more private space and more room to include plants in your landscape design. Interested in adding a pergola design to your backyard? Let the professionals at Green Impressions help.